ECB Classic provides protection for up to 3/8" of lateral substrate movement. Available in 3' x 50' rolls (150 sf) for full floor coverage and soft joint relocation. ECB is a 40 mil thick (approx. 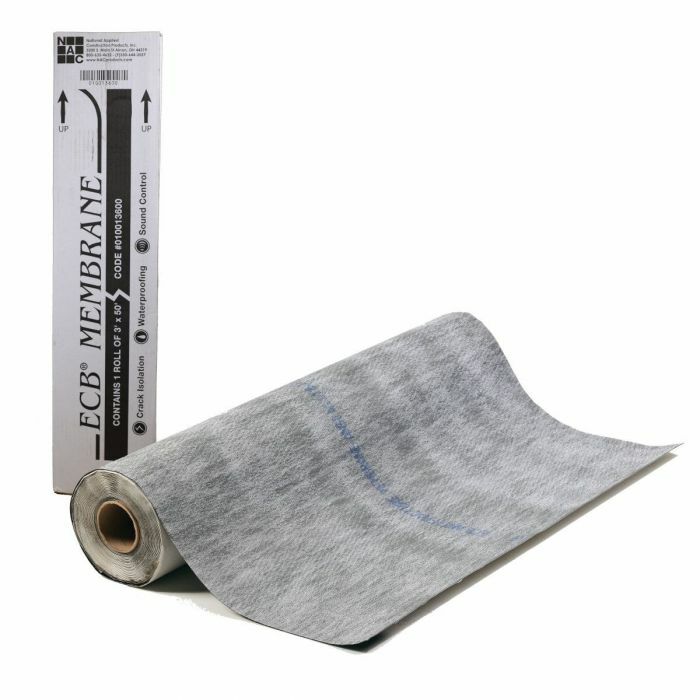 1/16") sheet applied membrane designed for use under floor surfaces that require protection from structural movement. ECB provides protection for up to 3/8" of lateral structural movement and is an ideal solution for malls, airports, apartments, condominiums, multi-level hotels, high-rise office buildings and any commercial or residential installations that require crack protection.